If you are looking for quality, easy-to-use, DIY home security system, Homeboy should definitely be on your shortlist of possibilities. Homeboy brings you a cordless home security camera with a magnetic base that allows you to place the camera pretty much anywhere you want to. Homeboy's home security system's completely wire-free modern design comes with innovative IFTTT integration for superior connectivity and control of your home automation and security monitoring. This product offers superior performance and intelligent connectivity in one simple, compact, and easy-to-use system. Homeboy security systems offer a bevy of benefits when it comes to keeping a watchful eye on your home. Touted as the world's first wire-free, WiFi security camera, Homeboy offers consumers flexible contracts without the strict policies and binding contracts. This makes it a great choice for those interested in a reliable DIY home security camera that can fit a wide range of needs. Here's what you can expect from your Homeboy home security system. Homeboy security offers tons of innovative and distinctive features for an enhanced level of security and convenience. Wireless operation: Homeboy cameras work on battery power, and depending on the amount of use, one charge with a USB cord can last up to 3 months! Wi-Fi compatibility: This is a great feature for connectivity, and works especially well with a low power Wi-Fi connection. 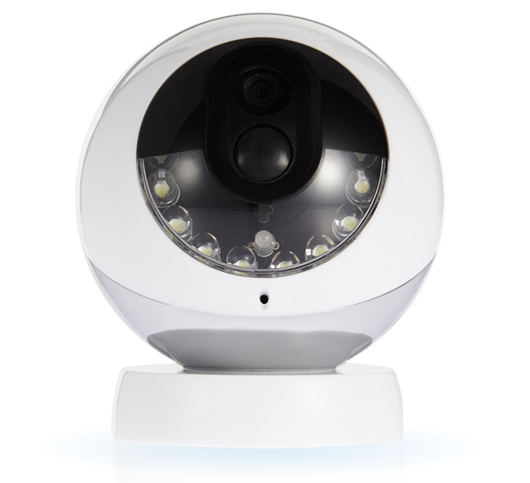 Motion detection: This built-in feature can detect movement up to 15 feet away. Integrated microphone, speakers, and siren: This feature allows you to listen and interact with the other end and includes a built-in siren to deter would-be intruders. GPS interface: Once connected with your iOS or Android device, the GPS interface will activate your camera when you leave the specified perimeter of your home. When you return home, this GPS interface will effectively de-activate the system to prevent unwanted alerts and system triggers. iOS and Android compatibility: Homeboy gives you the ability to control specific features of your security system and home automation devices with one touch from the palm of your hand. Homeboy home security cameras monitor your home in standby mode until movement is detected, helping to preserve battery power and recorded video storage. Once your system has been triggered, Homeboy will begin recording for 5-30 seconds and send your recordings to Homeboy's cloud storage. Social Media Accounts and more! You can also access quick clips, set up motion detection alerts, and arm & disarm your security system through Homeboy's iOS or Android app on your smartphone. Homeboy takes home security to a new level by integrating IFTTT ( If This Then That) technology. This gives you more control of your home from the palm of your hand. The If-This-Then-That programming allows you to connect your other home automation devices. What IFTTT technology actually allows is for you to build 'recipes' and create a cause and effect situation when you're away from home. For example, you can program an IFTTT channel to turn on a connected lamp when your system detects motion, then store the recording in your pre-selected account (like Dropbox or Google Drive), and send a text alert to your smartphone. Homeboy can also integrate your phone's GPS locator that uses the location of your smartphone to create a geo-fence around your home. When your phone leaves the designated area, the system will activate automatically to watch over your home while you are gone. When you return, Homeboy will automatically disarm the system to prevent false triggers and unnecessary alerts. Chief - can add or remove cameras as well as other members of your crew. The Chief essentially has the same control of your home security system as you do and can act as your representative in the event of an emergency. 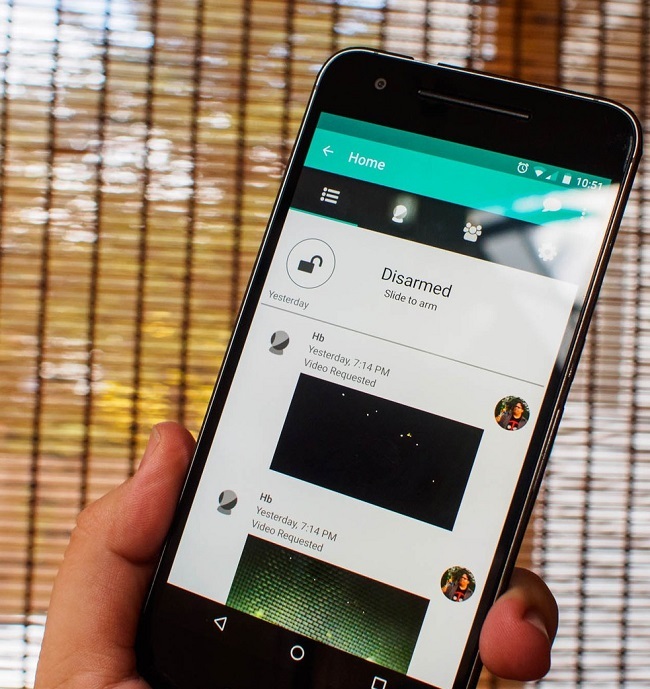 Deputy - can arm or disarm your system, view select videos in storage, and post photos and messages. Homeboy allows you to assign as many trusted friends and family to your Crew as you like to receive alerts and notifications of system triggers who can act on your behalf and respond to emergencies if you are unavailable. If you are looking for a quality portable security system for your home or office, Homeboy might just be perfect for you. Unfortunately, this camera doesn't come with the highest resolution or live streaming, but this is not a dealbreaker for many consumers. Homeboy is a fantastic, budget-friendly DIY option for individuals in search of a user-friendly, fully integrated system that fits seamlessly into your home and your day to day activities.